The Penn Wynne Civic Association in conjunction with the Penn Wynne Library Directors held a New Year's Eve at Noon Celebration today. A lecture/demonstration on the chemistry of fireworks was led by Spark Park (Montgomery Ave, Narberth) starting at 11:00 AM. That wrapped up around 11:45 when everyone moved outside for a countdown to noon with a 2014 pinata ball drop from our ladder. A fun time was had by all. 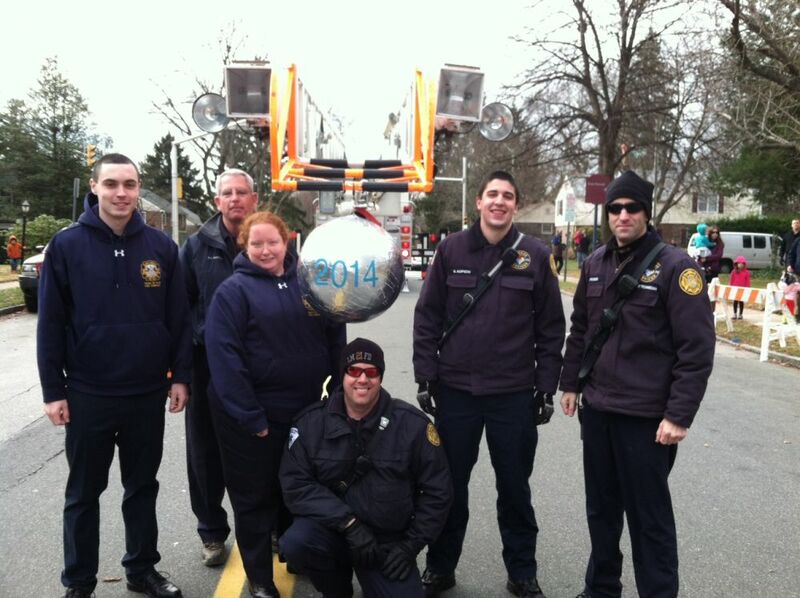 We here at the Penn Wynne - Overbrook Hills Fire Company would like to wish everyone a Happy, Healthy and Safe 2014! Thank you for your continued support. The Penn Wynne Fire Company, in cooperation with the non-profit Cradles to Crayons, is pleased to report that our firehouse will be a collection spot for vitally-needed everyday essential items for disadvantaged children, ages 0-12. You can drop off items between 10AM and 3PM on January 20th. Please use the below listed web-links for additional information. Just after lunch, the building assignment (Merion Fire Co of Ardmore and Bryn Mawr) went out for the 100 block of Sheldon Lane in Ardmore. 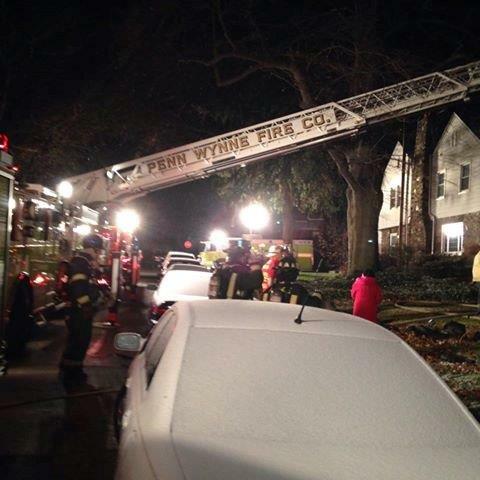 Lower Merion Police quickly arrived and reported heavy smoke showing from a twin home. The working fire upgrade brought Penn Wynne to the scene as the Rapid Intervention Crew (RIC) and Gladwyne for an engine and air truck. Crews worked well together in the frigid temps and snow to extinguish the fire and prevent it from spreading to the adjoining twin. 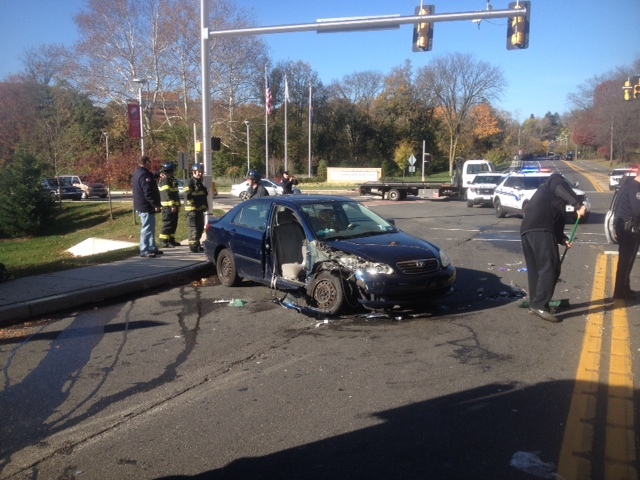 Photos of the scene courtesy of Main Line Media News. This morning, we were called in to assist the Merion Fire Co. of Ardmore on a vehicle fire with fuel spill. 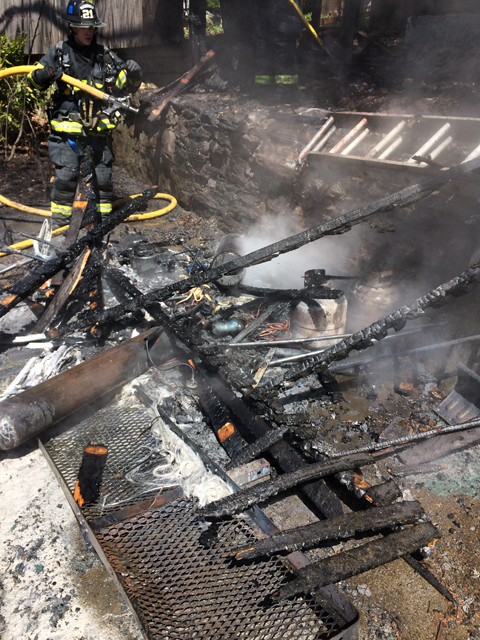 A construction truck was leaking fuel and caught fire. The truck had a auxiliary fuel tank in the rear containing diesel fuel, which also caught fire and leaked down the driveway. 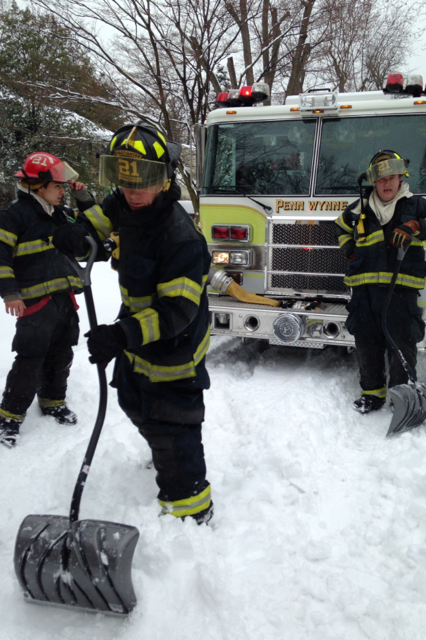 Special calls were made for Engine 26 (Narberth), Rescue 21 (Penn Wynne) and Rescue 22 (Belmont Hills). We assisted with deploying oil dry creating dykes to stop the flow of the gasoline and diesel mixture. 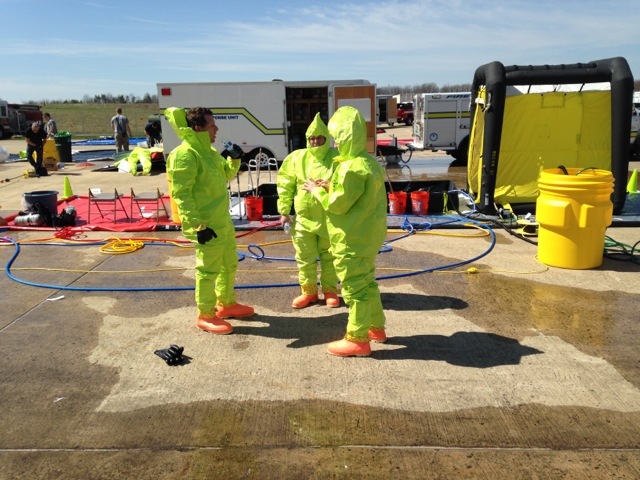 The county haz mat team brought in booms, pads and additional absorbent materials to assist. 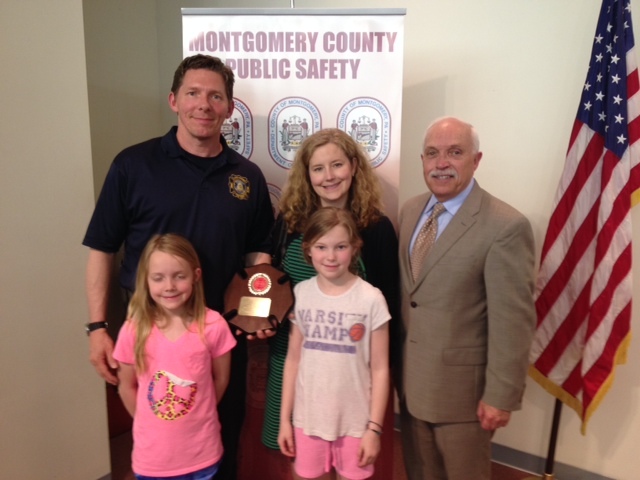 Here is a link to the story, pictures and a video from Main Line Media News. As with many other snow storms, whenever the region gets hits with significant snow falls our members stand by in station to provide a timely response to any emergency. Here are some pictures of one such response we had to assist Narberth Ambulance so they could help a member of our community. Please continue to stay safe this winter season, and if you live in proximity to a fire hydrant, please take the time to clear the snow around it so we can better serve you. 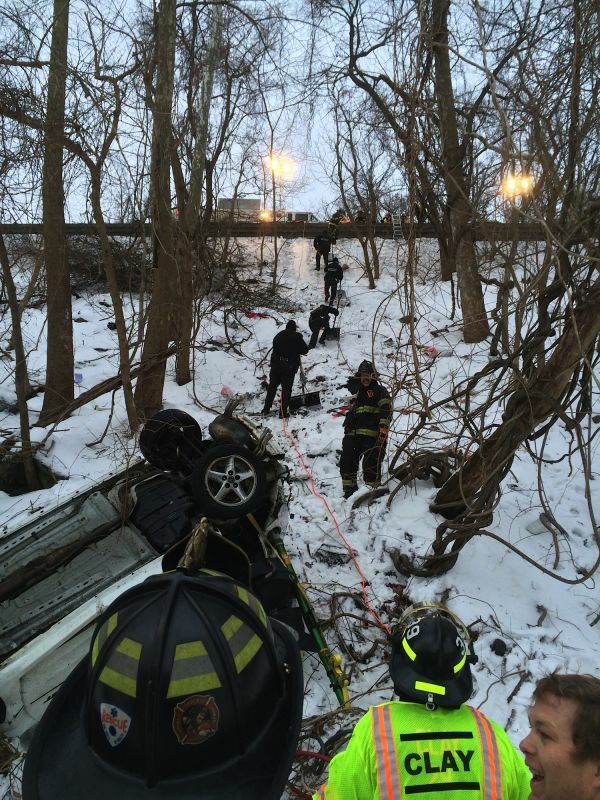 Just after 6AM this morning the Rescue was dispatched along with Belmont Hills and George Clay Fire Companies to the westbound Schuylkill Expressway for a reported vehicle rescue. As units began to arrive on scene it was determined that a vehicle had left the roadway and had come to rest at the bottom of a ravine. 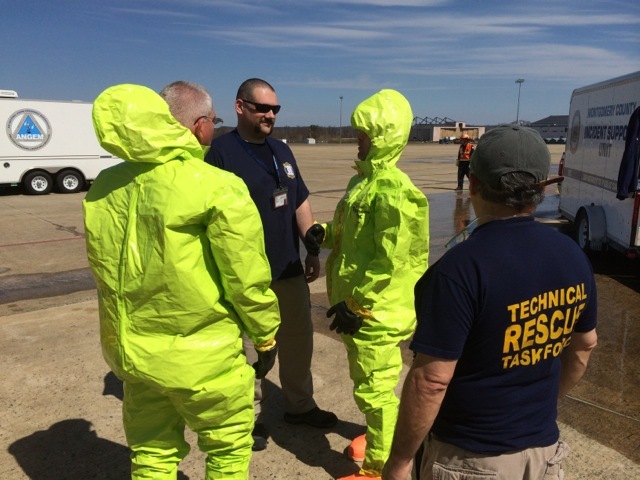 Crews began to assemble equipment and come up with an incident action plan. Due to the limited access and close proximity to the river, the Gladwyne Fire Company was dispatched to assist with manpower by utilizing an access road off of Waverly Road and to have their rescue boats on standby. A coordinated rescue effort was utilized by all responders by deploying a come-a-long, stabilization struts, and low pressure air bags. Once this was in place, the air bag was inflated and cribbing was placed under the car to further support it as the sole occupant was extracted from the vehicle by members of Narberth Ambulance. 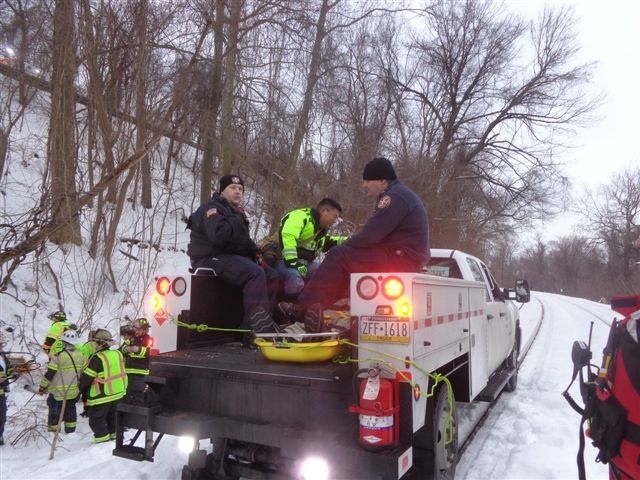 With the assistance of a specialized railroad vehicle, the patient was transported the mile down the tracks to the Gladwyne VFW where an aeromedical helicopter was waiting for transport to a local trauma center. Just after noon, tones were dropping for a shed fire on Meredith Road. County dispatch was receiving multiple calls. Engine 21 arrived to find a shed fully involved with extension to trees and a fence. 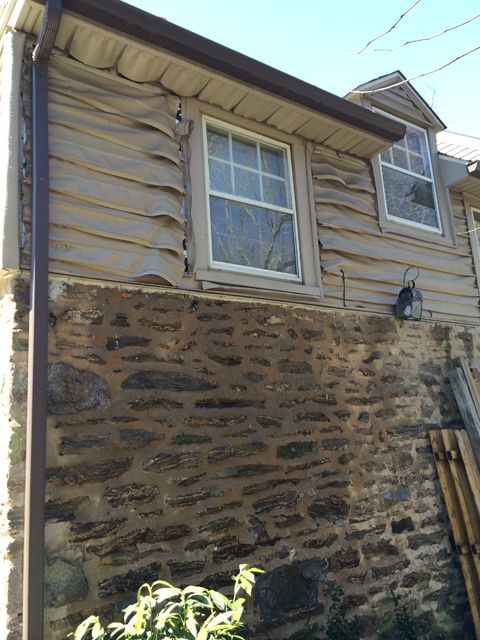 The heat was so intense it melted siding on the house and plastic molding on a car near by. The shed and its contents were a total loss. Crews were in service for 45 minutes. 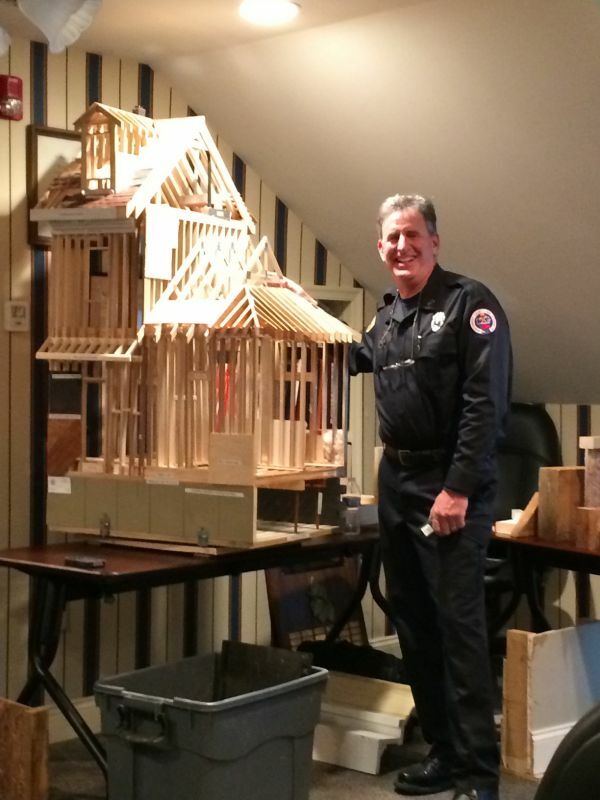 Last nights drill focused on the fundamentals of lightweight building construction. Some learned a lot and others had a great refresher. 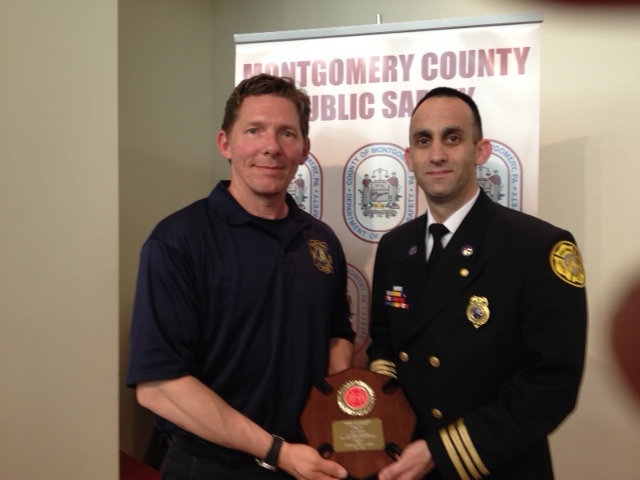 Thanks to Bud Henkels of the Montgomery County Fire Academy for the great class. Tonight, members of the company were issued a Unit Citation for outstanding service at a vehicle rescue on February 15, 2014. 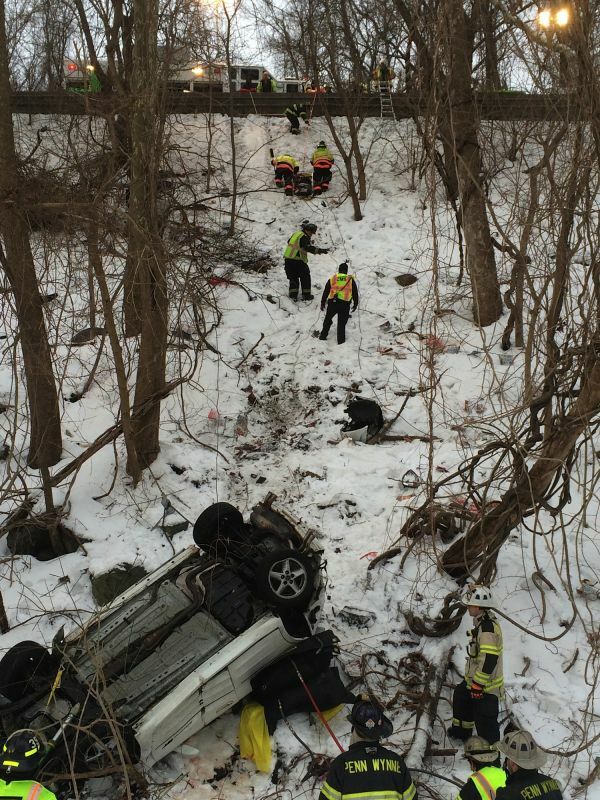 The accident took place on I-76 West between Waverly Road and Conshohocken State Road in Gladwyne. 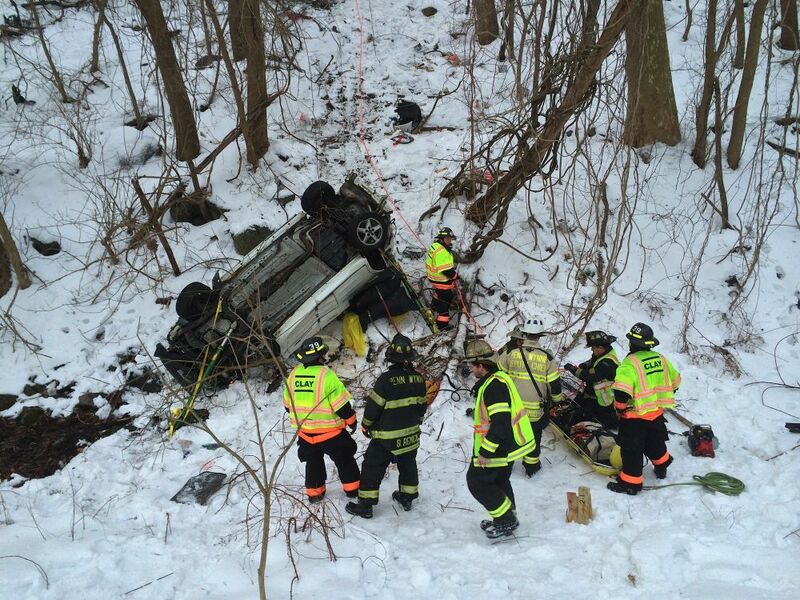 The incident was complex and prolonged due to the vehicle leaving the roadway and travelling 100' down a snow covered embankment. Crews worked tirelessly with Belmont Hills Fire Co., George Clay Fire Co, Gladwyne Fire Co. to affect the rescue in very cold temperatures. 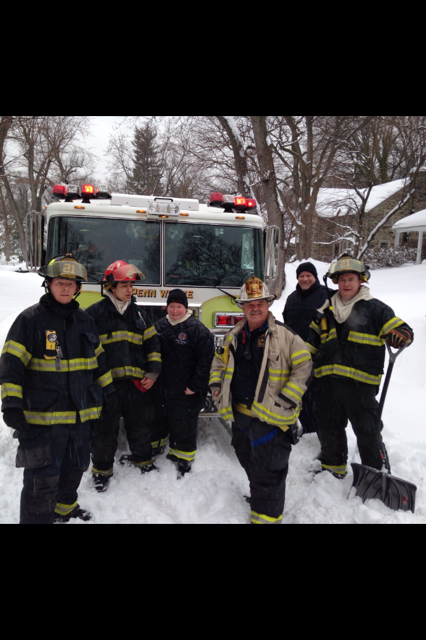 Unit Citations were also issued to Belmont Hills and Gladwyne Fire Companies. 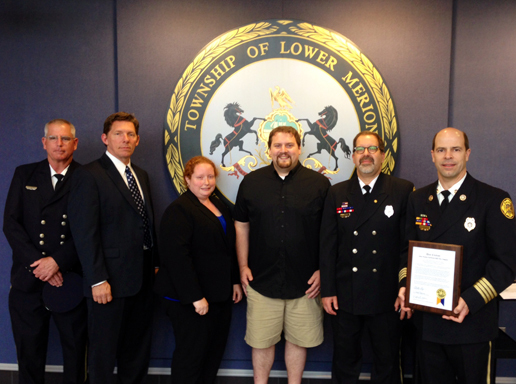 Chief's commendations were presented to Township Staff, the Volunteer Medical Service Corps of Lower Merion and Narberth, George Clay Fire Co and Norfolk Southern for their assistance at this incident. During the dinner hour, tones dropped for Rescue 21 to assist crews operating on a swift water rescue in the Schuylkill River at the Flat Rock Dam. Gladwyne Fire Company was in service with their swift water rescue team to rescue two jet skiers who went over the dam and were stranded on the rocks below. Members stood by down river with throw bags and assisted with rigging lines for rescuer safety. The company was in service for two hours. Excellent job to all responders navigating sometimes treacherous waters. This weekend was quite busy for the folks at Penn Wynne. 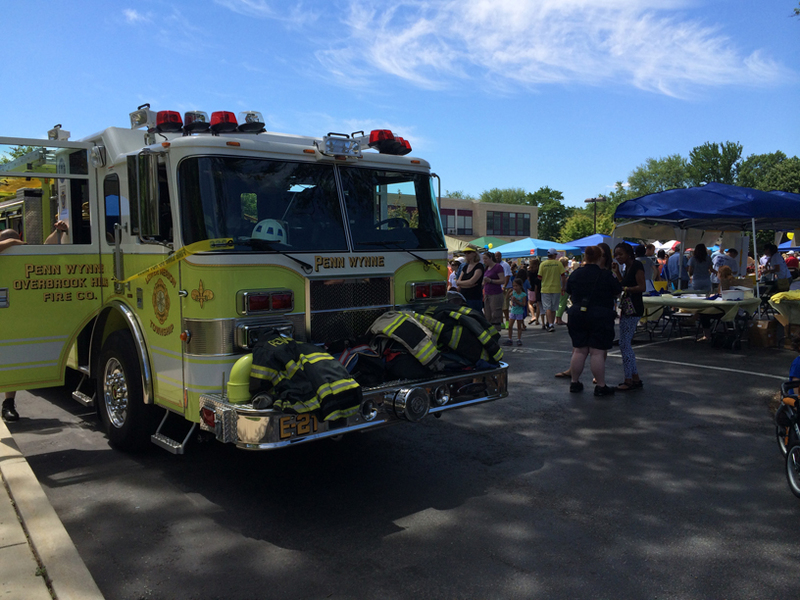 We split our crews on Saturday to attend both Alex's Original Lemonade Stand and Brookline Fire Company's 100th Anniversary Parade. The Stand was a successful event as always and marked the ten year since Alex's passing. It is remarkable to see the dreams of a little girl blossom into such a worthy cause. Brookline's Parade was a well attended community event. 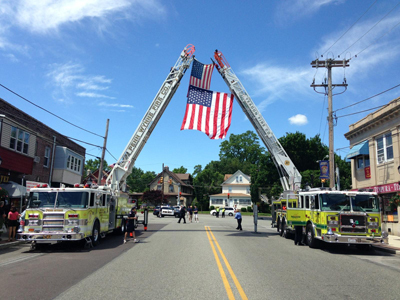 Ladder 21 stood by forming an arch with Yeadon Fire Co along the parade route. 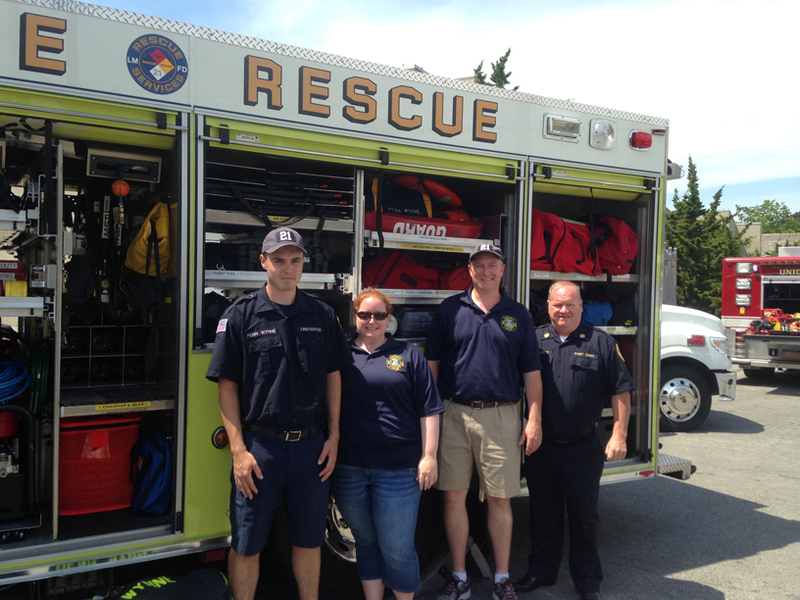 Sunday, Rescue 21 attended Narberth Ambulance's block party and touch-a-truck event. 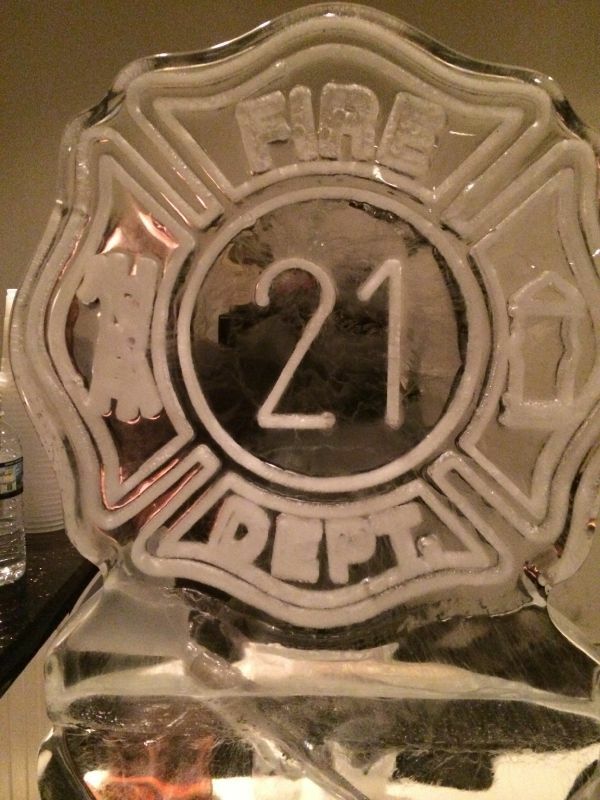 Thanks to our members for giving their time and staffing these events. Quiet times yield to busier moments and today was no exception. The company ran four calls in just under twelve hours. Our day started at 10:24 with a fire alarm at Friends Central School which was accidental due to burnt food. 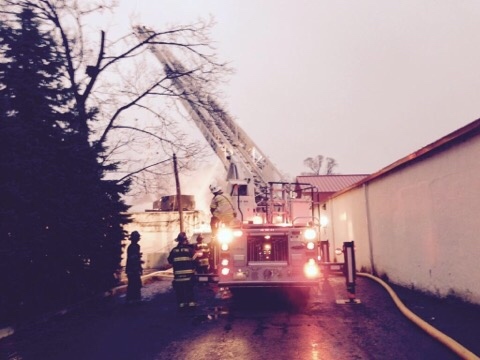 At 4:25, tones dropped for Rescue 21 and Rescue 47 (King of Prussia) to assist Norristown on a building collapse. Incident notes detailed a roof collapse with possible subjects trapped. 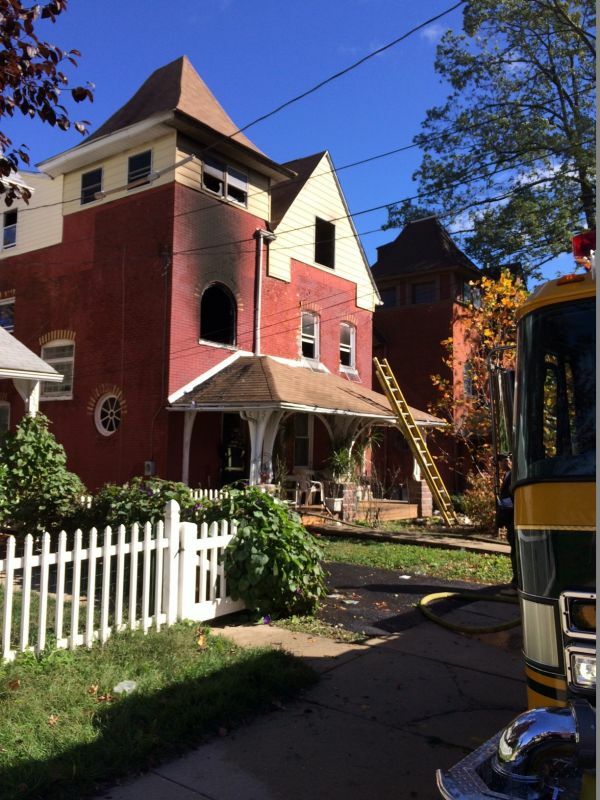 Upon arrival, responders noted there was no collapse of the roof just some bricks that fell from the chimney and non-Norristown resources were recalled. 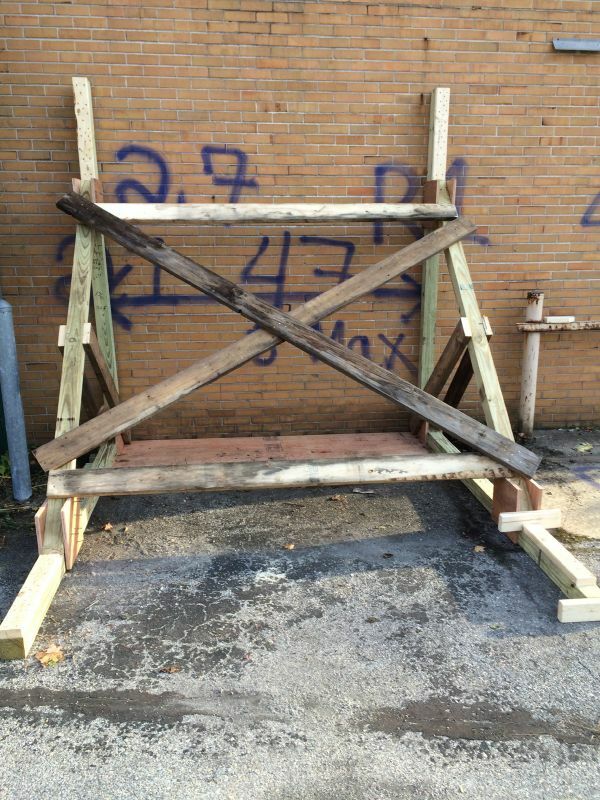 This incident marked the first dispatch of the Southeastern Montgomery County Technical Rescue Task Force servicing the municipalities of Lower Merion, Upper Merion and Norristown. Around 7:00pm, Ardmore and Bryn Mawr were investigating electrical odors throughout the Churchill Court buildings in Haverford. Upon discovering smoke in the basement and elevator shafts, Chief 25 (Hayden) assumed command and asked for the confirmed building procedures bringing Gladwyne Fire Co full company, Rescue 21 as FAST and EMS to the scene. Crews stood by for twenty minutes as a small fire was located and extinguished in a penthouse elevator control room. Our day ended with a gas odor at City and Lancaster Avenues. Crews investigating has a slight odor coming from a PECO manhole cover and underground valve. PECO was notified and continued the investigation. 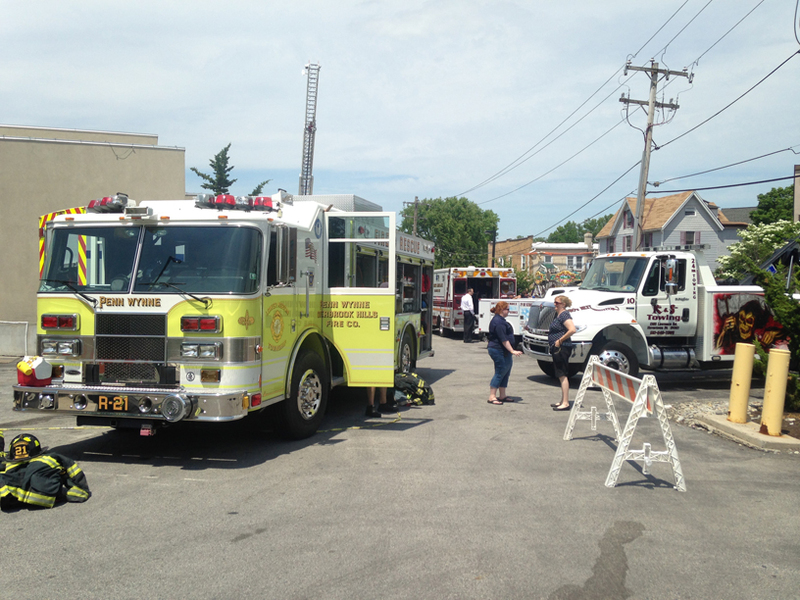 Join us for our Fire Prevention Open House! Click Here for more info! Shortly before noon this morning, pagers alerted Bryn Mawr and Ardmore firefighters of a house fire on County Line Road in Bryn Mawr. Dispatch notes informed firefighters of smoke and flames visible from a second floor window. First arriving police and fire units arrived to find heavy fire front a front second floor window of a three story twin. The working fire confirmed procedures brought Engines and Air 24 from Gladwyne and Rescue 21 from Penn Wynne. First in crews confirmed occupants were out of the house and made a great stop holding the bulk of the fire to a second floor bedroom. Rescue 21's crew stood by as the FAST Team and assisted with raising ground ladders. Crews were in service for an hour and a half. This evening a group of firefighters from various Lower Merion companies as well as Norristown came together to hone their skills using acquired structures. The strip of stores on E. Wynnewood Road that will soon be demolished for the new Whole Foods was the sight of the training. Members trained on safely cutting a flat roof, hose line advancement, search & rescue, and rapid intervention techniques. This morning the rescue assignment was dispatched to Lancaster Avenue and Lankenau Drive for a reported vehicle rescue. Crews arrived to find a three vehicle crash with one subject trapped. The crew from Rescue 21 arrived and proceeded to pop and remove the passenger side door as Ladder 21 deployed a precautionary handline. 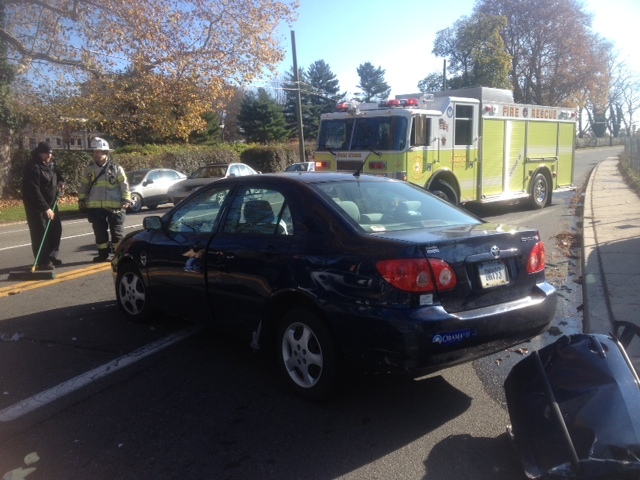 Medics from Narberth Ambulance attended to all of the injured parties. 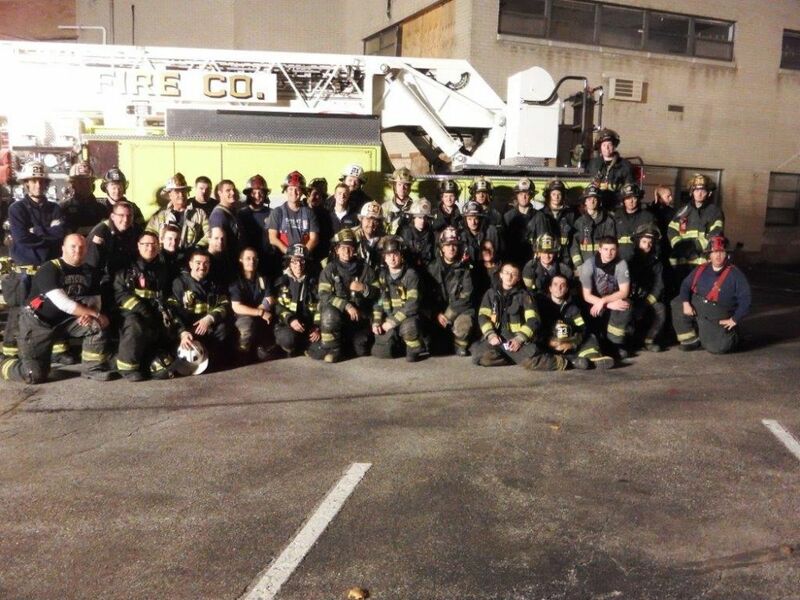 Today, members of the company along with King of Prussia and Norristown trained in structural collapse operations. 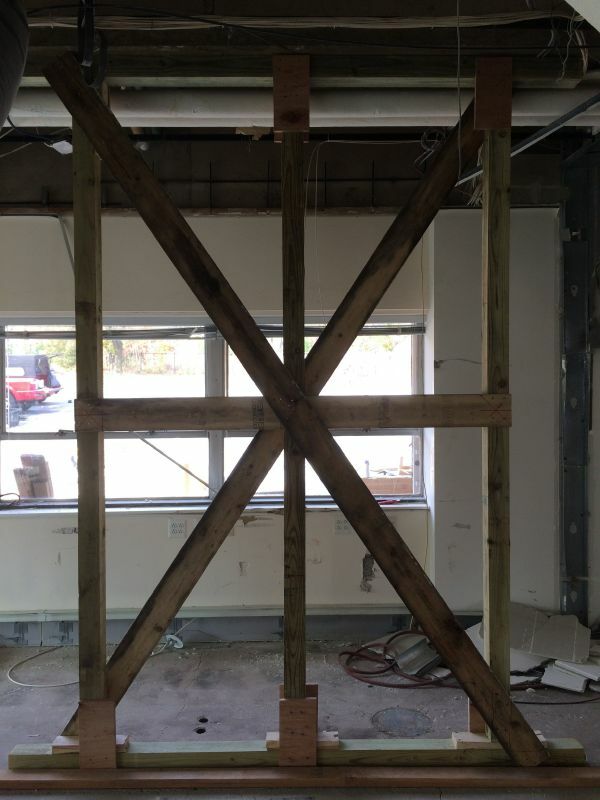 Folks were educated on shoring principles to support a structure in order to effect a rescue should a structure be deemed unsafe. 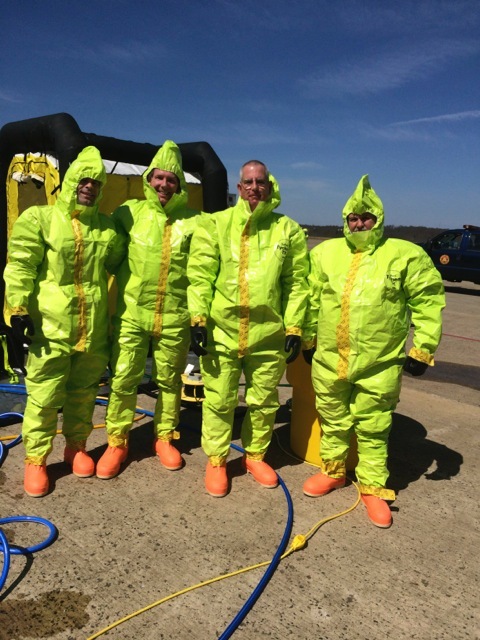 This training was an initiative of the Southeastern Montgomery County Technical Rescue Task Force. Thanks to All Hands Fire Training for a great day. Thanks to the banquet committee for a great job. See you next year! This morning, firefighters were awoken just after 5 AM for a ladder assist to a working fire on Montgomery Avenue in Narberth. LMFD units were on the scene of two single story, adjoined buildings with fire throughout. 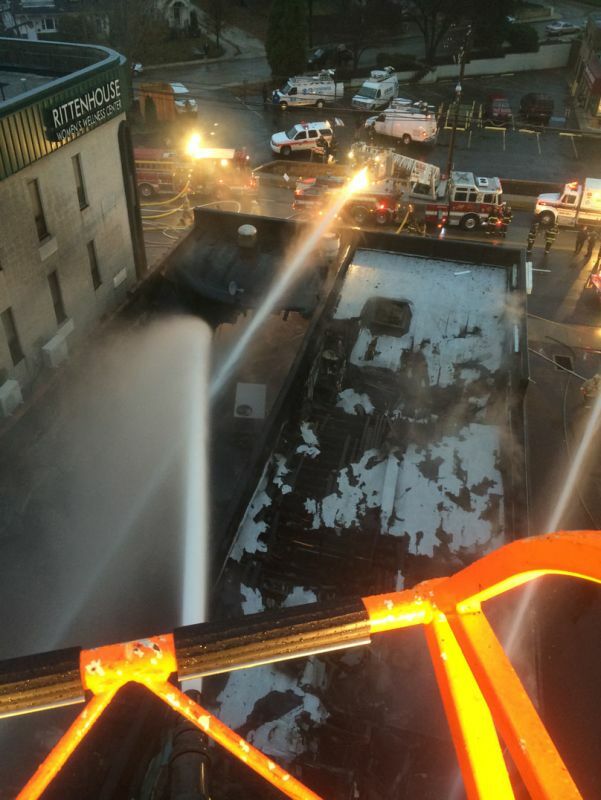 Ladder 21 responded and took up a position in the rear of the buildings providing master stream support and opening up the rear of the buildings. The ladder was back in the station by 8 AM. Great teamwork to the following companies on scene: Narberth (26), Union (28), Belmont Hills (22), Merion (25), Gladwyne (24) and Bryn Mawr (23). Just before 5 AM this morning, firefighters were awoken for a dwelling fire on Surrey Lane. The notes told us the occupant smelled something burning and had charring on the bathroom ceiling. While the engine and Chief were enroute, county advised LMPD were on location with smoke showing. 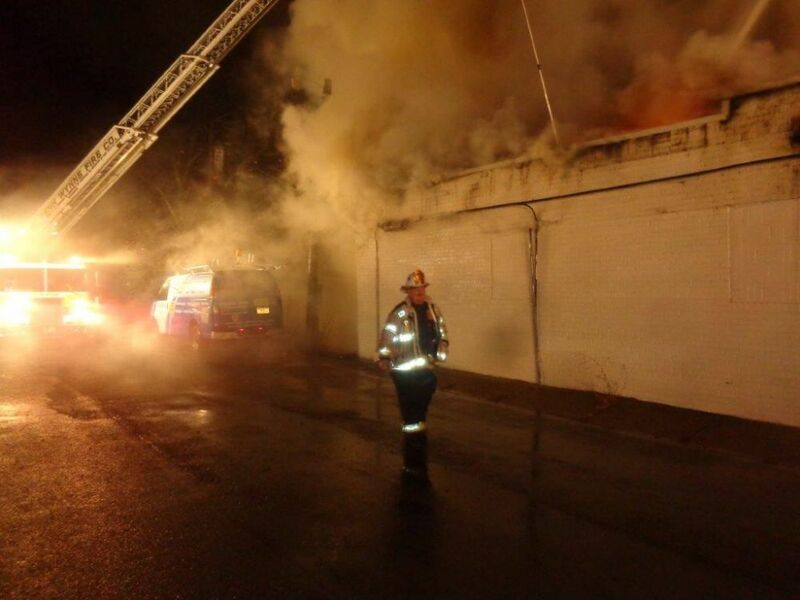 Chief 21 requested the "working fire confirmed procedure" bringing Narberth Fire Company as the second due, Merion Fire Co as the third due engine, Bryn Mawr as the Fast Team, Gladwyne for the Air Truck and Narberth Ambulance. Initial crews confirmed the house was evacuated, pulled an 1 3/4" hose line and made way to the second floor where they found an odor, light smoke in the bathroom and a hot ceiling. 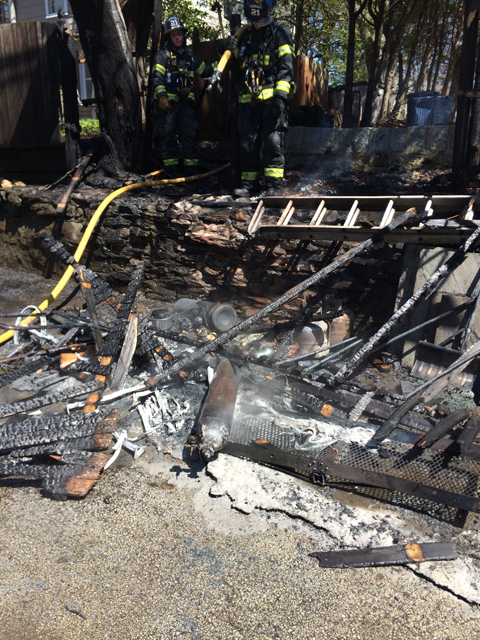 As the line was charged, crews opened up to find a smoldering fire which had burned through several joists. 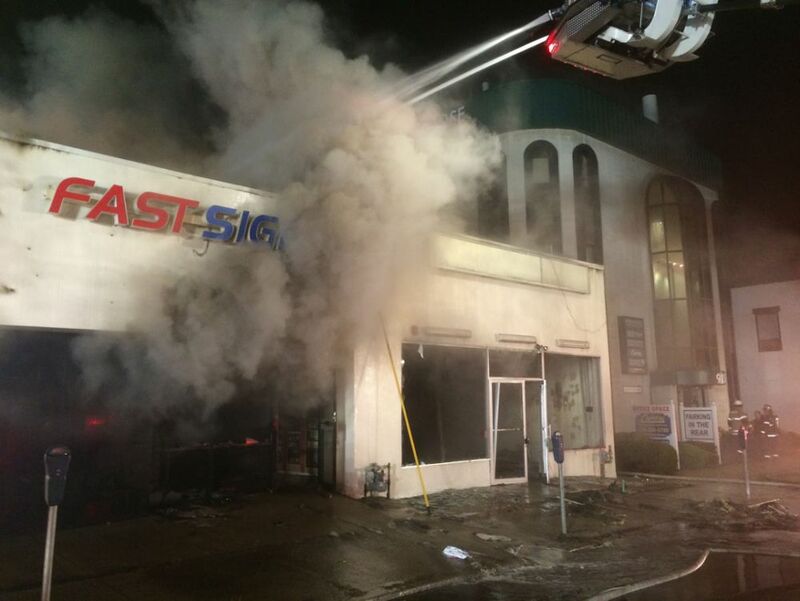 All traces of fire were extinguished and the members were headed to work by 7:00 AM. 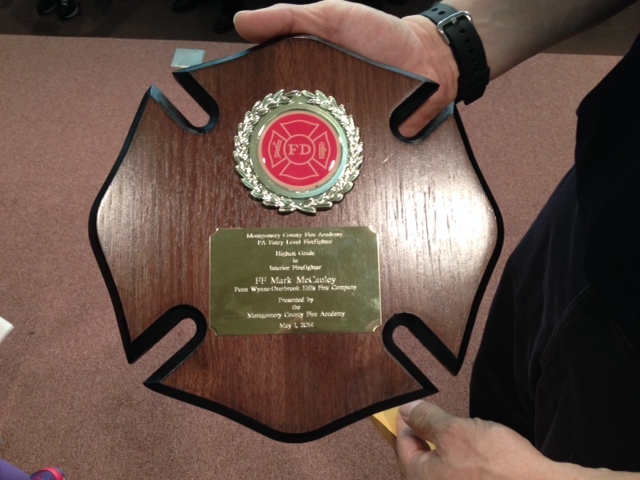 Thanks to the company's who assisted us. It was another strong team effort.